One little two little three little Indians, four little five little six little Indians, seven little eight little nine little Indians… One million little Indian entrepreneurs. These are the stories of the little people who make up the Big Idea of Dharavi. A slum of energy, enterprise and hope. Where every hand is busy, every head held high. Where people could be miserable but choose to be happy. A choice each of us can make. Rashmi Bansal is the best-selling author of Stay Hungry Stay Foolish, Connect the Dots and I Have a Dream. Her books have sold over half a million copies and been translated into ten languages. She is currently searching for stories for her next book. Deepak Gandhi is a management consultant, speaker and teacher, with an abiding interest in the social sector. In a pro- fessional career spanning three decades, he has worked with NDDB, Tata Steel and UNDP. Deepak currently divides his time between India and Canada. Dee Gandhi is self-taught freelance photographer who practices ‘no price tag’ photography. He is currently making many many people happy with beautiful photographs and making enough ‘fair profit’ to quit the retrace. Historian Ravi Mohan Saini must breathlessly dash from the submerged remains of Dwarka and the mysterious lingam of Somnath to the icy heights of Mount Kailash, in a quest to discover the cryptic location of Krishna’s most prized possession. From the sand-washed ruins of Kalibangan to a Vrindavan temple destroyed by Aurangzeb, Saini must also delve into antiquity to prevent a gross miscarriage of justice. Ashwin Sanghi brings you yet another exhaustively researched whopper of a plot, while providing an incredible alternative interpretation of the Vedic Age that will be relished by conspiracy buffs and thriller-addicts alike. Ashwin Sanghi is one of the well known writers in the Indian literary scene, and an author of thriller fiction. He shot to fame through his first release, The Rozabal Line. His books are characterized by extensive research, and they’re fast paced political or historical thrillers. Sanghi’s first novel, The Rozabal Line, was self-published in 2007 under his pseudonym, Shawn Haigins. The theological thriller based upon the theory that Jesus died in Kashmir was subsequently published by Westland in 2008 in India under his own name and went on to become a bestseller, remaining on national bestseller lists for several months. His second novel, Chanakya’s Chant, a political thriller with roots in ancient Mauryan history, shot to the top of almost every bestseller list in India within a few weeks of its launch. 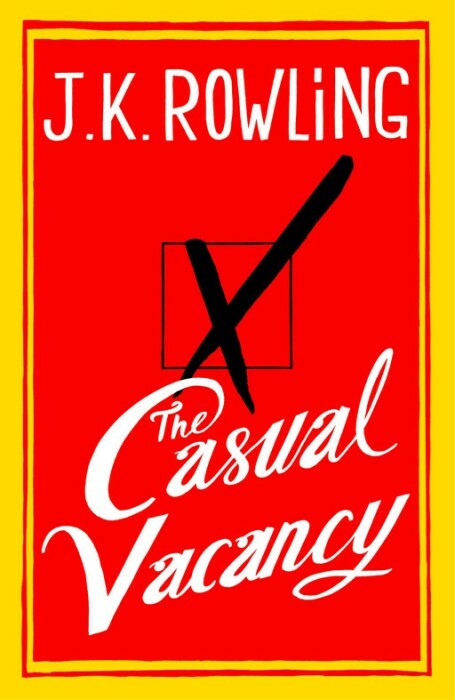 The novel went on to win the Crossword-Vodafone Popular Choice Award 2010, film producer UTV acquired the movie rights to the book and the book remained on AC Nielsen’s Top-10 throughout 2011-12. 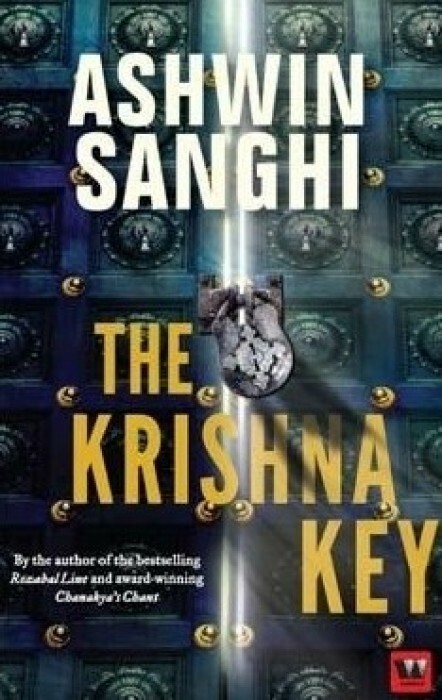 The Krishna Key, Sanghi’s third novel, is a furiously-paced and riveting thriller that explores the ancient secrets of the Vedic age and the Mahabharata. Ashwin is an entrepreneur by profession but writing historical fiction in the thriller genre is his passion and hobby. Ashwin was educated at the Cathedral & John Connon School, Mumbai, and St Xavier’s College, Mumbai. He holds a masters degree from Yale and is working towards a Ph.D. in Creative Writing. Ashwin lives in Mumbai with his wife, Anushika, and his son, Raghuvir. YOU CAN SELL addresses time-tested principles which make a successful sales professional. The word used is ‘principles’ and not ‘tactics’. Because tactics are manipulative whereas principles are based on the foundation of integrity. Many times you hear people saying that to succeed you need to learn the ‘tricks of the trade’. This is not true. This book is different! 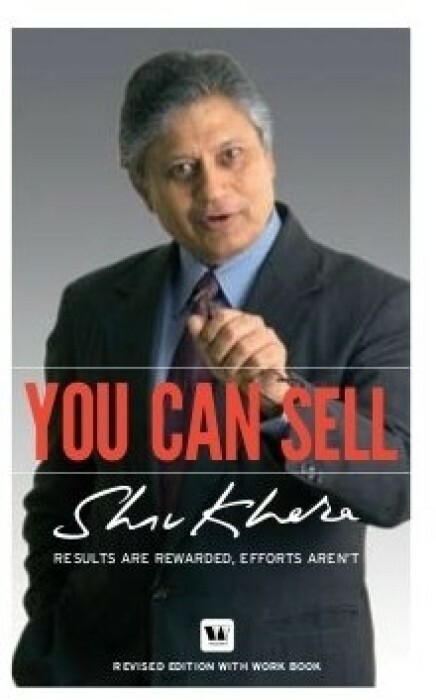 MR. SHIV KHERA is the founder of Qualified Learning Systems Inc. USA. An Author, Educator, Business Consultant and successful Entrepreneur, he is a much sought-after speaker. Mr. Khera is the author of 12 books including international bestseller “You Can Win”, which has sold over 2 million copies in 16 languages. His other books are creating new records. His clients include GM, IBM, HP, Citigroup, HSBC, Canon, Nestle, Philips and many more. What’s the difference between a fashionable/trendy girl and the rest? A trendy girl is always comfortable in her own skin! So how do you shed those annoying extra pounds and boost up your self esteem by a few notches? From following rigorous dieting routines to sweeping people away with their charm and grace, you can always trust celebrities to make the right choices. For this reason, it’s hardly surprising when people look for diets and workout routines from their favorite celebrities so that they can implement these in their lives. Thanks to her status as a star dietician who’s worked with the cream of the Bollywood crop, Rujuta Diwekar lets out some secrets through her book Don’t Lose Your Mind Lose Your Weight. The book serves as a bible for those who’re intent on losing weight – without giving up on their sinful food cravings. In her book, Rujuta delves into the details of her experiences while working with A List stars, and how you can lose weight without resorting to crash diets. A must-read book for every health conscious individual, Don’t Lose Your Mind Lose Your Weight can help you tailor the perfect diet, one that celebrities swear by. Rujuta Diwekar is a fitness expert with extensive experience in sports, yoga and nutrition. Voted as the ‘Best Personal Trainer’ in the year 2005, she is one of the top dieticians in the country and is known for having worked with the who’s who of Bollywood and popular businessmen like Anil Ambani, Amrita Arora, Konkona Sen Sharma and Saif Ali Khan. The author has another book to her name: Women and the Weight Loss Tamasha, which was released in the year 2011. Before starting off on her star studded career, Rujuta completed a Sports Nutrition course in Australia and a postgraduate course in SNDT College. 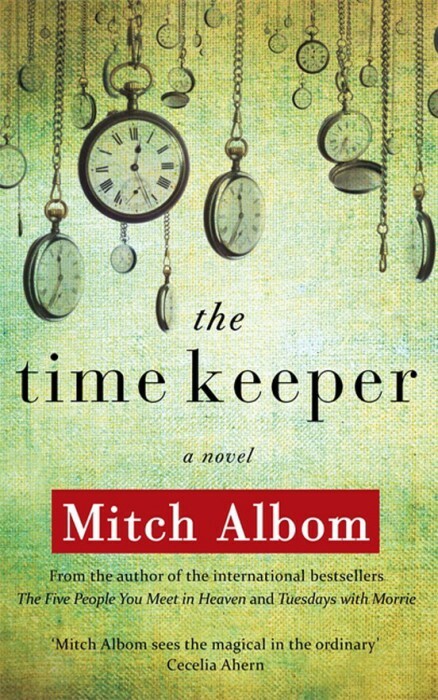 From the inspirational author of Tuesdays with Morrie and The Five People You Meet in Heaven comes his most heartfelt novel yet, The Time Keeper–the compelling tale of the first man on earth to count the hours. The man who became Father Time. In this stunning new novel, the inventor of the world’s first clock is punished for trying to measure time. He is banished to a cave for centuries and forced to listen to the voices of all who come after him seeking more years for themselves. At last, with his soul nearly broken, Father Time is granted his freedom, along with a mission: a chance to redeem himself by teaching two earthly people the true meaning of time. He returns to our world–now dominated by the obsession with time he so innocently began–and commences a journey with two unlikely partners: one a teenage girl who is about to give up on life, the other a wealthy old businessman who wants to live forever. To save himself, he must save them both. And stop the world to do so. 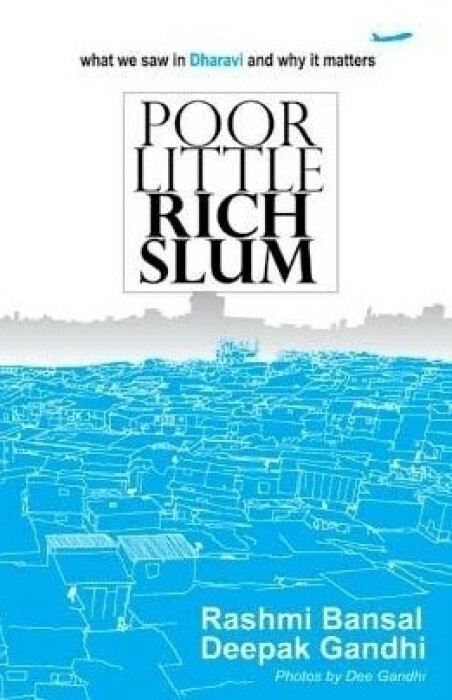 Gripping, simply told and filled with deep human truth, this unforgettable story will inspire readers everywhere to reconsider their own notions of time, how they spend it and how precious it truly is. You Can Heal Your Life, a New York Times bestseller, is a self-help book that focuses on physical well being through mental training. Louise L. Hay explains how thoughts are the main driving force of one’s body’s mechanism, in order to drive home the point of mental healing. Thoughts and acts have an impact on how the human body learns to interpret and interact with the world. Hay provides practical guidance on how to get rid of one’s negative thoughts and unlock the mind’s potential to heal any illness. She also shows how negative thoughts build up and create negative energy that blocks and prevents people from making their lives better. The author firmly believes that thoughts shape human lives. She uses her own experience to help readers, and gives out snippets of her personal struggle. Hay was diagnosed with cancer, but she states that she applied the techniques described in the book to cure herself. She attempts to show the readers how it is possible to use the strength of their thoughts in positive ways, to heal illnesses and make life better for themselves. Louise L. Hay is a renowned author of self-help books, and she is the founder of the publishing company, Hay House. She has written several books on the power of thoughts to improve one’s health and quality of life. She has written other self-help books, including The Power is Within You, Loving Thoughts for Increasing Prosperity, 101 Ways to Health and Healing, Meditations To Heal Your Life, and Power Thoughts: 365 Daily Affirmations. Louise L. Hay was born in 1925 in Los Angeles, California. 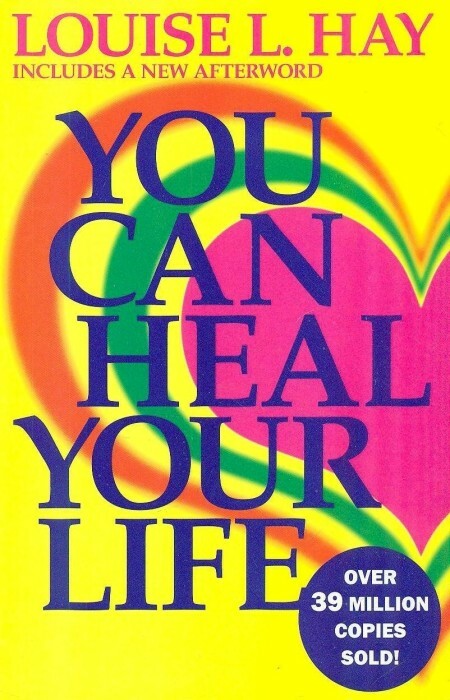 Her most successful book is You Can Heal Your Life, which was published in 1984. 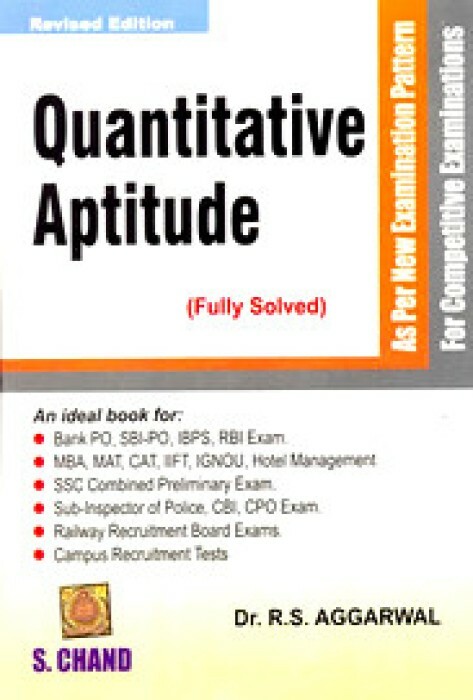 Quantitative Aptitude is a book that’s popular among every student who’s registered for competitive exams or job interviews. It remains a bestseller till date, mainly because of its comprehensive nature. Often considered as the absolute bible for every aspirant, Quantitative Aptitude by R. S. Aggarwal helps students prepare for competitive exams and job interviews. The book covers an array of topics and its content is split across two sections: Arithmetic Ability and Data Interpretation. The book features extensive examples and exercises that cover topics like HCF/LCM, Decimal Fractions, Profit and Loss, Time and Distance, Chain Rule, Surds and Indices, Age Problems, Simple and Compound Interest, Probability, Heights and Distances, Volume and Surface Areas and Permutations and Combinations under the broad umbrella of Arithmetic Ability. Topics covered under Data Interpretation include Line Graphs, Bar Graphs, Tabulation and Pie Charts. This is the perfect handbook for every student as the examples are easy to comprehend. R.S. Aggarwal was born in the city of Delhi. A graduate from Kirorimal College in Delhi, he then took on a position in N.A.S. College as a teacher following his post graduation in Mathematics in the year 1969. Shiva, one of the chief Hindu deities, is portrayed in an entirely different light in Amish Tripathi’s debut novel, The Immortals of Meluha. 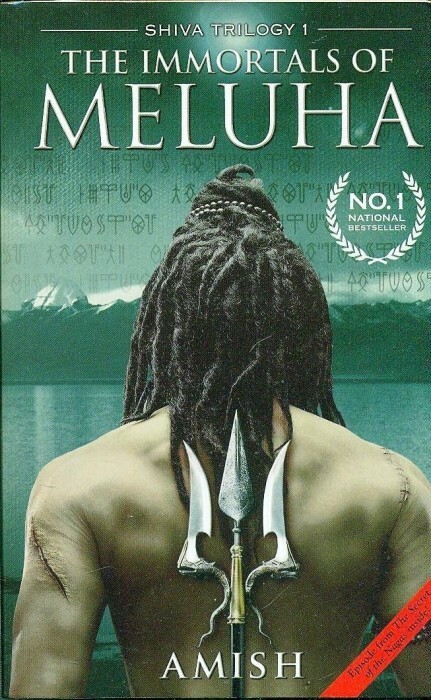 The first book of The Shiva Trilogy, The Immortals of Meluha charts Shiva’s journey from the mountains with his Tibetan tribesmen to the kingdom of Meluha, which is occupied by the Suryavanshis, a race of people who are descendants of Lord Ram and live along the banks of the River Saraswati. When an episode involving the preserving drug somras leaves his throat blue, Shiva is hailed as the ‘Mahadev’ according to an ancient prophecy, the man who’ll lead the Suryavanshis to victory against the Chandravanshis. Caught in the middle of a tense conflict, Shiva must now make some quick decisions to save Meluha from the wrath of the evil Chandravanshis and their twisted and disfigured assassins, The Nagas. Set in 1990 B.C., the book takes readers on an imaginative and exciting journey through Amish’s world. As a writer, Tripathi explains the concept of Karma and reincarnation in his books with succinct ease. He’s often commended for his meticulous research, which contributes to making his books very interesting. The master storyteller’s legacy continues. An elusive and shadowy killer is on the prowl, codenamed the Angel of Death. When an elderly multimillionaire is found brutally murdered in Hollywood, and his young wife raped and beaten, the police assume the motive is robbery. Unable to find the perpetrators, the case is eventually closed. A decade later, in different cities around the globe – St Tropez, London and Hong Kong – three almost identical killings take place within 5 years of each other. In all cases the victim is male, wealthy, elderly and newly married, and his wife is found at the scene either raped or assaulted. At first it is thought they might be copycat killings, but it soon becomes clear that this is one killer, moving around the globe and changing her identity over many years. Codenamed Angel of Death by the police, is she avenging some long-forgotten misdeed, or does she have other motives? 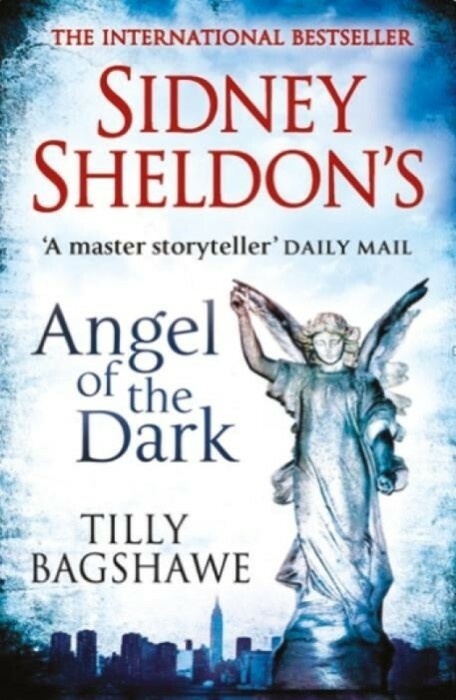 Who will be her next victim, and how can the Angel of Death be prevented from striking again? How would you react if destiny shook the entire world around you and set you on a new path? What if it would put you in a place, which would change your entire course of life? The question is, would you run, fight or would you gladly accept life? Sprawled across the early 80s, ‘Life is what you make It’ unravels all these questions through the protagonist, Ankita Sharma’s life. Ankita is the most happening person in her college and she knows her way around. She is good looking, young, smart and has a number of boys who swoon over her. Life in college is a dream that every youngster sees and Ankita manages to gain admission to a reputed management school. All is well. Six months down the lane, she is admitted to a mental health hospital as a patient. How did things take such a bad turn? Will she be able to lead a normal life? Life Is What You Make It is a tale of the indomitable human spirit. It is a tale of how Ankita fights back at life, which has snatched her most precious years. This is a deeply inspiring and moving account of her life and the immense power that faith holds. It shows you how you can overcome challenges even if destiny pushes you back. This book is a love story at its heart that kicks up questions about the perception of sanity and shows us that life is what you make out of it. Preeti Shenoy did her schooling all over India, due to her father’s regular job transfers. This inspired her to take up Sociology during her graduation. She started blogging in the year 2006 and soon got an offer to contribute regularly for Times of India and other popular dailies including Reader’s Digest too. She has also written 34 Bubblegums and Candies and Tea for two and a piece of Cake. Preeti Shenoy has an impeccable sense of carrying a story and keeps it straight and simple. She delves into the mysterious psyche of her characters and flawlessly pictures it. Her books have been widely read throughout the country. 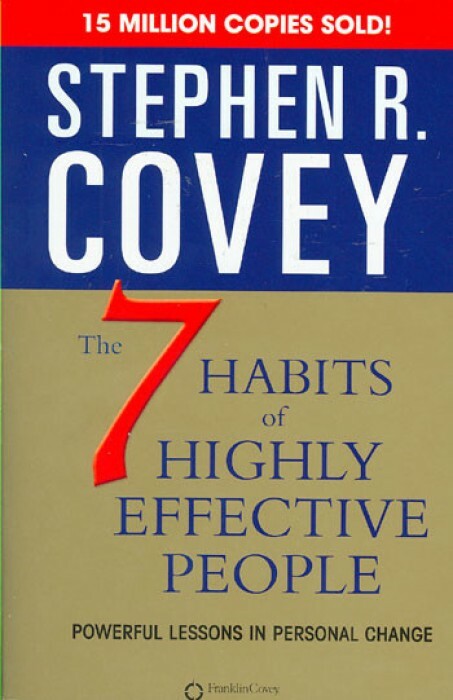 With his book, The 7 Habits of Highly Effective People, Stephen Covey initiated a shift in the focus of self-help books written in the 20th Century. In a time when more emphasis was laid on character and problem solving rather than on personality development and related techniques, The 7 Habits of Highly Effective People brought in a fresh perspective towards the path to success. Covey’s book integrates both character and personality ethics together, for a person to be successful. In his book, Covey stresses on the fact that a society where individuals are wholly independent and individualistic would not be effective in the long run. The 7 Habits of Highly Effective People focuses on teamwork rather than individual development. Out of the seven habits outlined, the first three encourage independence so that you can understand yourself. The next three habits focus on working in a cooperative environment. The seventh and final habit focuses on renewal, that is, constantly trying to improve all aspects of your character and personality. One of the most popular books on personal development, The 7 Habits of Highly Effective People has sold over 15 million copies in many languages worldwide. Stephen Covey is a professor and a writer who’s published many books on personality development and leadership skills. He has written books on Personal Development like Follow-ups to The Seven Habits and The 8th Habit. Covey lays out his ideas in a concise and effective manner and presents them in stages so that they’re easy to understand and implement. He and his wife Sandra live in Utah with their family. He has received several awards, including The 1994 International Entrepreneur of the Year Award and The Sikh’s 1998 International Man of Peace Award. Covey is an alumnus of Harvard University. He holds a post-graduate degree in management, besides a Doctorate in Religious Education from Brigham Young University.